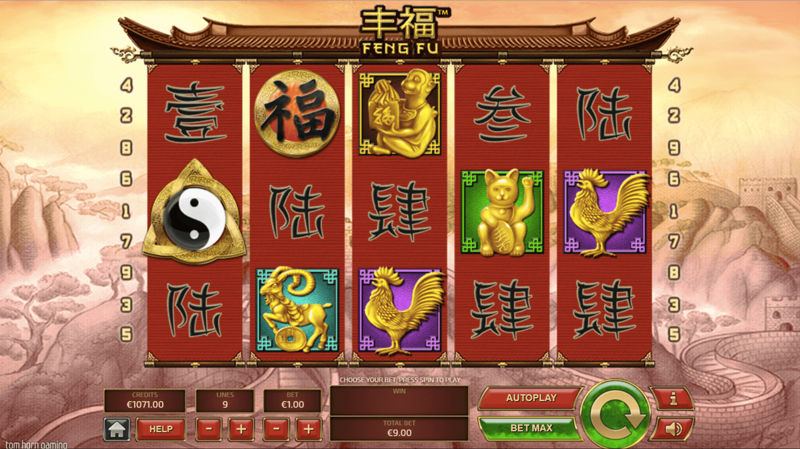 This Asian-inspired casino game may just help you find an inner harmony, such is its peaceful tranquillity in its setting and music. Of course, losing cash is enough to stress anyone out so fingers crossed you can balance your win/loss ratio and find meditative peace and serenity as well as taking home some prizes when you spin those reels. Play more on WzSlts today! Tom Horn Gaming has an enviable portfolio of slots online, from the saucy Red Lights to the action-packed Jungle Adventure or the classic Fruit Video Slot. As well as online slots, they have broadened their horizons to include a variety of casino games including roulette, poker, keno, bingo and scratch card games. Go ahead, make a deposit and play UK slot games today! Feng Fu’s Gameboard is styled on a pagoda with each of the 5 reels a strip of fine red fabric. With 3 rows, 15 symbols will land with each spin of the reels. The background follows an illustration of the Great Wall of China while the peaceful plucked string music eases you into a meditative mood. That is until you hit a SCATTER which is punctuated by pounding percussion, jolting you alert from your peaceful place. Remember to visit our guide before you play best slots now. Like several slots online by Tom Horn Gaming, the Gameboard is pleasingly tactile and interactive. The 9 paylines are numbered along the sides of the board; hover the mouse over each number to see the line displayed. Click a number to spin with that many lines in play. Similarly, you may click any symbol on the board to see the values of each. It’s a smart touch that means you don’t have to go into the menu to get more info on each icon. Speaking of icons, there are 6 low-value icons represented by intricate kanji characters. 5 golden high-value symbols feature animal: a fish, cockerel, cat, ram and monkey. Generously, the WILDS and SCATTERS also pay out when matching 3 or more on the Gameboard. The WILD is a red and gold gong embossed with a kanji character. 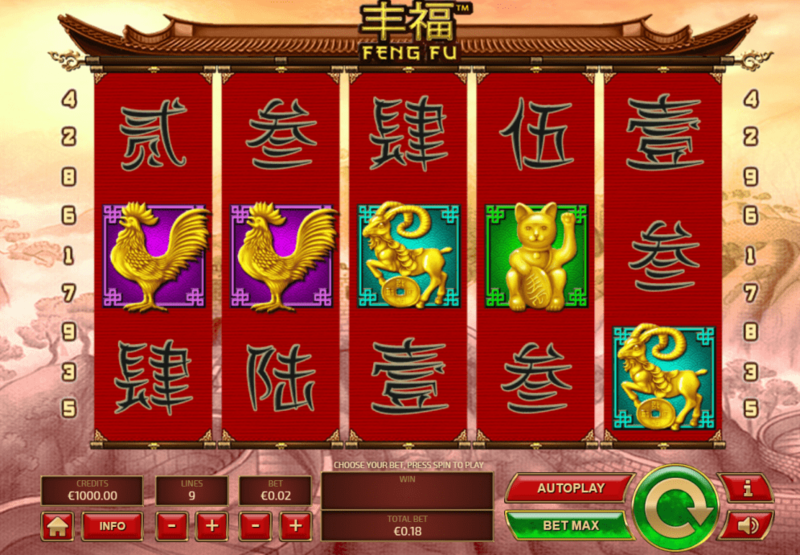 A yin yang symbol is the SCATTER in this online slot. Land 3 to earn a measly 2 free spins. Fear not though as 4 of a kind gets 20 and 5 awards you an incredible 200 free spins! 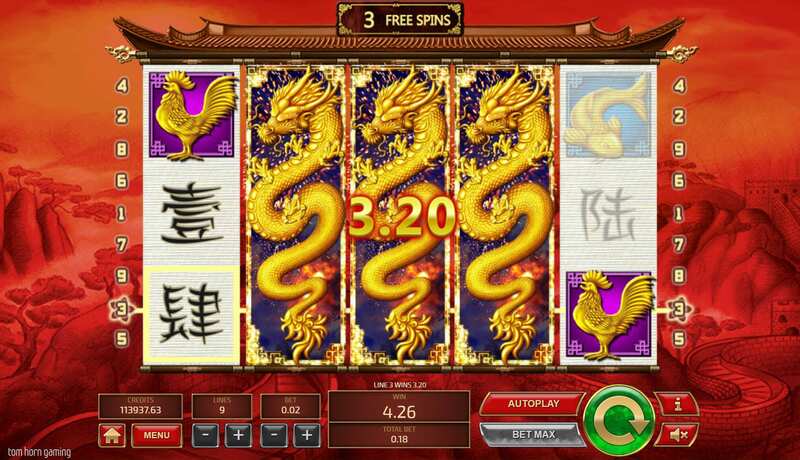 Further spins are retriggerable during the free spins rounds and excitingly, a special expanding dragon WILD is in play during this bonus. Its appearance on reels 2, 3 or 4 in a winning combination can multiply the line win between 2 and 8 times the value.